Under limited supervision, the Auditor Sr acts in a lead role for domestic/international internal and external IT audits. Designs and develops audit procedures, and reviews and evaluates work of associates within and outside of the Audit Department. Recommends and submits reports on identified corrections and controls in need of improvement. Reviews IT, operational and business risks, functions and activities, and evaluates client relations in order to determine and recommend nature, scope, direction and thrust of proposed audits. Designs audit procedures to execute the annual audit plan, assess controls and to meet audit objectives. Assumes responsibility as project leader for special audit projects and provides advisory and consulting services to management. Recommends appropriate staffing requirements to complete the audit. Coordinates and directs activities of assigned auditors: Trains and provides guidance of auditing tasks and procedures; reviews work for completeness; and submits evaluations on assigned auditors. Acts as liaison for internal management, external auditors, external audit clients and business associates. Prepares reports for internal and external company executives. Summarizes audit objectives, scope, findings, conclusions and management response. Conducts oral and written presentations to all levels of management, as appropriate, during and upon the completion of audits. Ensures audit summary is prepared within established deadline. Performs statistical sampling y to accomplish audit procedures. Obtains, analyzes and appraises supporting data utilizing various software applications. Recommends revisions to audit procedures to enhance efficiencies. Reviews internal controls throughout the company by evaluating the adequacy of system controls and recommends improvements. Performs testing and walkthrough procedures to determine company compliance on assigned Sarbanes Oxley processes: reviews and analyzes the control structure, performs walkthrough and testing procedures, documents testing results that are reviewed by external auditors, and communicates results to the process owners and the Sarbanes Oxley team. Evaluates the adequacy and timeliness of management’s response and the corrective action taken on significant audit recommendations. Maintains continued education requirements and regular and predictable attendance. 5 – 7+ years of internal or external IT auditing experience. Advanced degree in Computer Science/Management Information Systems or equivalent education. Ability to coordinate and perform multiple tasks/projects simultaneously, balancing priorities and deliverables. Ability to evaluate business processes and IT technology, identify risks and evaluate controls. Ability to translate business needs and problems into viable and accepted solutions. Ability to work well within a team environment and participate in department projects. Please submit your résumé to careers@hipaaone.com referencing the position for which you are applying. 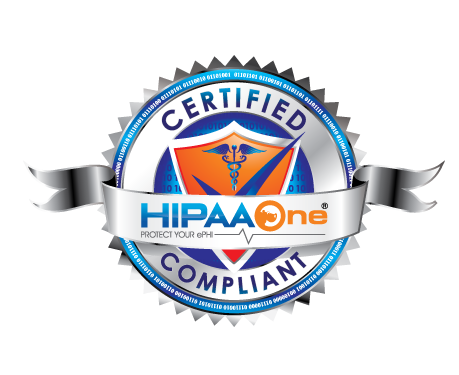 Thank you for your interest in HIPAA One®!